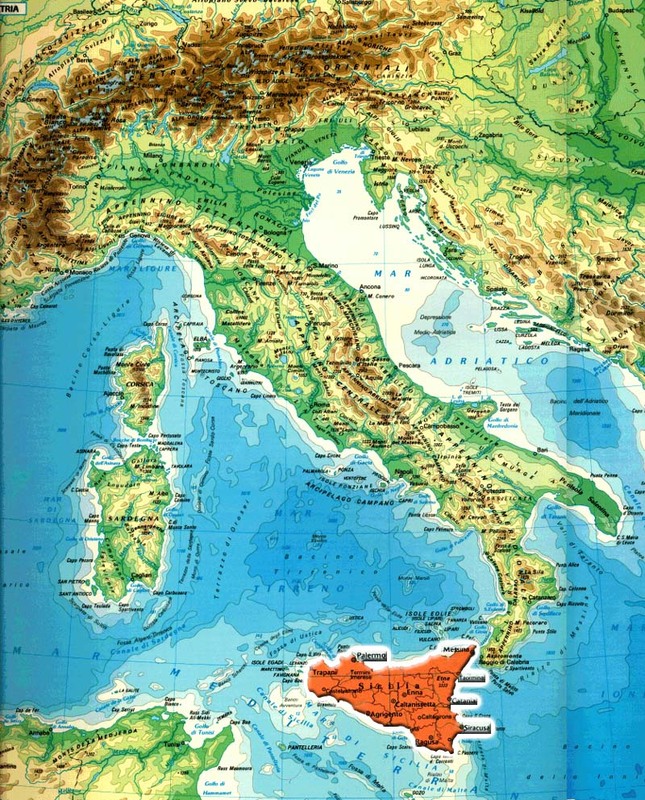 The Egadi are three distant islands, a few thousand meters from the coast of Trapani. You can arrive there in a few minutes thanks to the many connections from the port of Trapani, yet just visiting the Egadi, one feels far away from everything, immersed in a pristine environment of rare beauty. These islands are a little outside of time, where the tourist can abandon themselves happily to the rhythm of life so different from their own. How to get there: transportation from Trapani to the Egadi Islands is by boat, hydrofoil, and ferry, operated by Tirrenia(Call Center 892 123 from cell phones, or from abroad +39.081.8449297) and Ustica Lines (information and reservations at 0923 873813). Where to stay: The Egadi islands offer different arrangements depending on your needs and your budget. There is a moderate choice of hotels and tourist villages, with various degrees of comfort, services and prices. For those who want to abandon themselves to the enchantment of the island for a longer period, we advise you to rent a vacation house or apartment, ideal for a relaxing family vacation. With a smaller budget, one can opt for an bed-and-breakfast, or a guesthouse in the Egadis, while campers will find some quality campgrounds at Favignana. with its typical butterfly shape, is the biggest island of the Egadis. Arriving by boat, one is immediately greeted with the elegance of the Palazzo Florio. The Florio was constructed in 1874 when the old tonnare (the extensive buildings used for tuna working) were acquired, and which still today dominate the port of Favignana. Until the 1800's, the tuna industry of Favigana was created around Palazzo Florio, one of the biggest industrial food complexes in the world, at the vanguard of conservation activity and packing of tuna. Today the tonnare are in disuse, but they will soon be converted into a museum and cultural center. The historical center gravitates around the Piazza Madrice, which contains a baroque church, shops, bars, and gelato shops. It is always crowded, especially in the summer. It is possible to lose one's self in the streets of the 17th century center, among the simple houses, which hide gardens that diffuse the scents of flowers and aromatic herbs into the air. Leaving the town, there appears an island in all its rough beauty. The Mediterranean brush covers vast expanses: thistles, prickly pears and agave make this landscape extraordinarily fascinating. The coast is scattered with cliffs and coves: Cala Rossa is really the best-known: viewing it from above its fortresses gives an indescribable feeling. Abandoning one's self to the care of the sun and the sea, and to the beautiful Cala Azzurra, Cala Stornello, and Cala Rotonda surely will one's expectations will not go unfulfilled. A boat trip allows you to discover the grottoes that open up to the sea and the less-accessible solitary beaches. concentrated in the northeast of Favignana, are another attraction not to be missed. In ancient times this volcanic rock was the principal resource for the inhabitants of the island: the blocks of tuff, extracted using long hand saws, were taken across the sea on board sailing ships for export to all of Sicily and North Africa. Today these quarries, which make this landscape unique, are becoming large vegetable gardens and underground flower gardens, where capers and other aromatic Mediterranean plants grow. To the north of Favignana emerges the island of Levanzo, the smallest of the Egadi islands. The island has high and steep coasts which are intact and beautiful, a truly pristine paradise for those who love a more quiet kind of tourism. Life goes at a slow pace, completely removed from the world of home. Levanzo is an island to explore by foot, along the paths that rise toward the mountain and along the coasts. There is a unique little town on the island, overlooking it like a terrace over the little port, where islanders and tourists live elbow to elbow. A boat ride will allow you to discover the north coast, rising straight from the ocean, and to explore coves accessible only by sea. Those who love history cannot miss the Grotto of the Genovese: it is a large cavern with prehistoric paintings and graffiti inside, with scenes of hunting and fishing from more than 10 million years ago. is the furthest away and the most wild of the three Egadis, an island that is extremely dominated by the bulk of Monte Falcone. If you're looking for urban comforts and nightlife, this is not the place: there are only a few such facilities on the island. Marettimo is instead ideal for lovers of trekking and swimming. The rich depths are justly protected in the Egadi Marine Nature Reserve. An island boat trip (ask the local fishermen) is intensely exciting. The eastern coast offers more complex scenery: very high fortresses rising up from the turquoise sea, where marine grottos open up to create fantastic plays of light. Some are so vast that they allow access to two or three boats at a time. History has also left its traces on Marettimo: a mule track that rises from the port city to the rest of the Roman houses, while on the point of Troia, inaccessible as an eagle's nest, overhangs a castle to the left, which was made into a prison by the Bourbons.